We went along to see the live performance of The Cat in the Hat last night at Aylesbury Waterside Theatre and we absolutely loved it. Both of my girls are big Dr Seuss fans and were super excited to be going to see The Cat in the Hat live on stage and they were not disappointed. The show is full of life and had every child in the theatre mesmerised from start to finish. The Cat in the Hat tells the story of Sally and her brother at home alone on a rainy day, The Cat appears with the plan to entertain them with mischief and the help of his friends Thing 1 and Thing 2. The story is narrated poetically throughout the show by Sally and her brother played by Melissa Lowe and Sam Angell, and the addition of Tasha Taylor Johnson’s original songs give the show amplified energy. Nana Amoo-Gottfried plays The Cat fantastically and my children were very impressed with his skills of balancing on a giant ball while holding tea, cake, books and a goldfish bowl. Charley Magalit starred as the fish and dramatically appears on the stage in a giant goldfish bowl and the acrobatic skills of Thing 1 and Thing 2, played by Celia Francis and Robert Penny were superb. The set, created by Isla Shaw was cleverly designed and the lighting by Zoe Spurr managed to beautifully take you through the show by changing colour and brightness with the scenes. 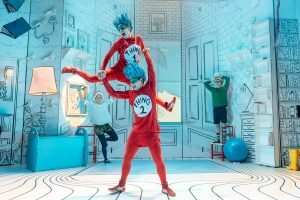 The whole performance was so much fun with lots of stunts and audience participation, we would definitely recommend The Cat in the Hat as a must see family show. 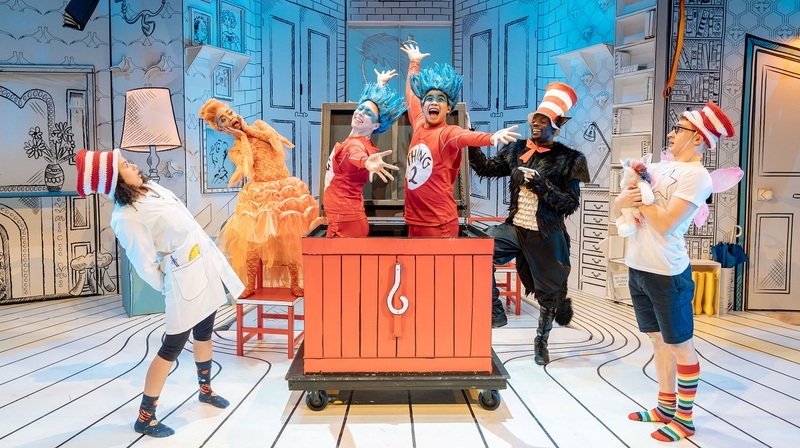 The Cat in the Hat is showing at Aylesbury Waterside Theatre until 3 February. 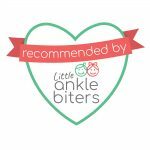 if you would like this and other great events sent directly to your inbox, why not sign up to our newsletter here?